The calculator above is a tool for indicative use only. No result from the use of the calculator should be considered a loan application or an offer of a loan. The calculator does not take into account your personal circumstances or any fees and charges or government taxes which may apply. Repayments as a result of this simulation can vary based on your personal circumstances including your credit worthiness. You should discuss your circumstances with your local Hyundai dealer. 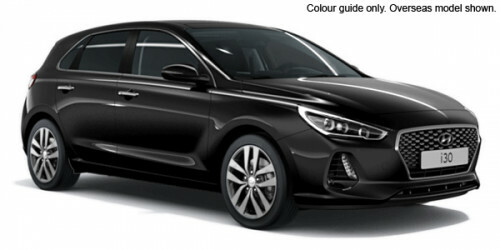 Hyundai Finance is a registered trademark of Hyundai Motor Company and is operated under licence by St.George - A Division of Westpac Banking Corporation ABN 33 007 457 141 AFSL and Australian credit licence 233714. Wider range of financial services. Fastest growing automotive brand in Australia. Customer Care with high levels of ongoing service and support. Interested in selling? Bring in your vehicle for an evaluation and receive a competitive offer. Our experts will find the best finance solution for your individual needs. I'm interested in a Demo 2018 [SOLD] (stock #914441D).